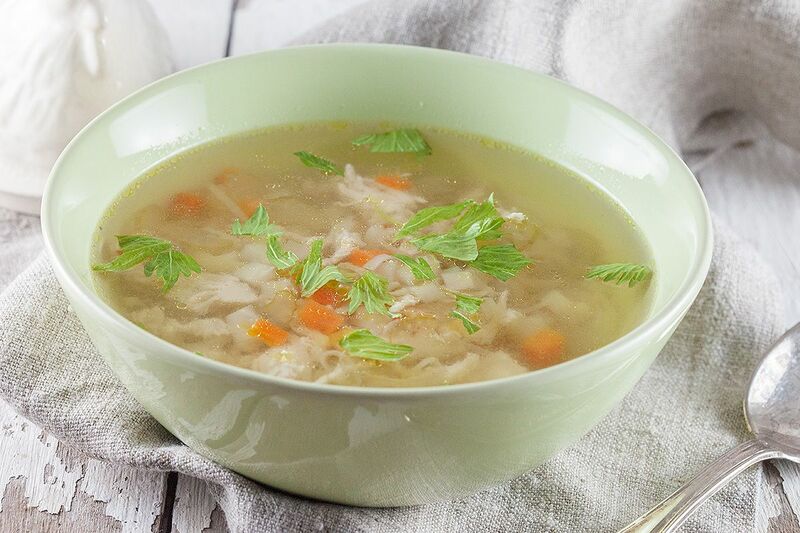 Create a super tasty and very easy chicken soup in just 20 minutes using only a few ingredients. Home-made is always the best don't you think? CLEAN the chicken fillets by removing the excess fat and muscles if necessary. POUR the chicken stock into the pan and add the chicken fillets. COOK them for about 10 minutes. 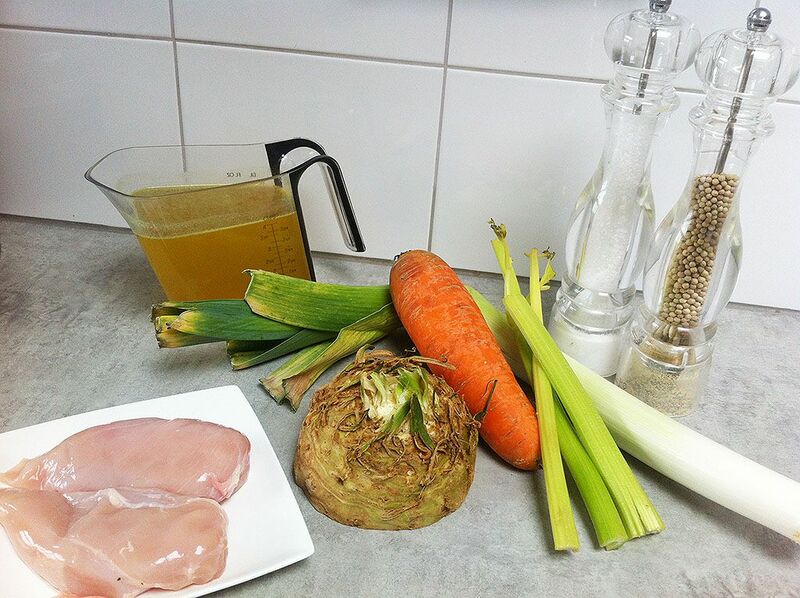 Meanwhile RINSE the carrot, celery stalks, leek and celeriac. PEEL the carrot and SLICE the leek and celery stalks into thin rings and the carrot and celeriac into cubes. 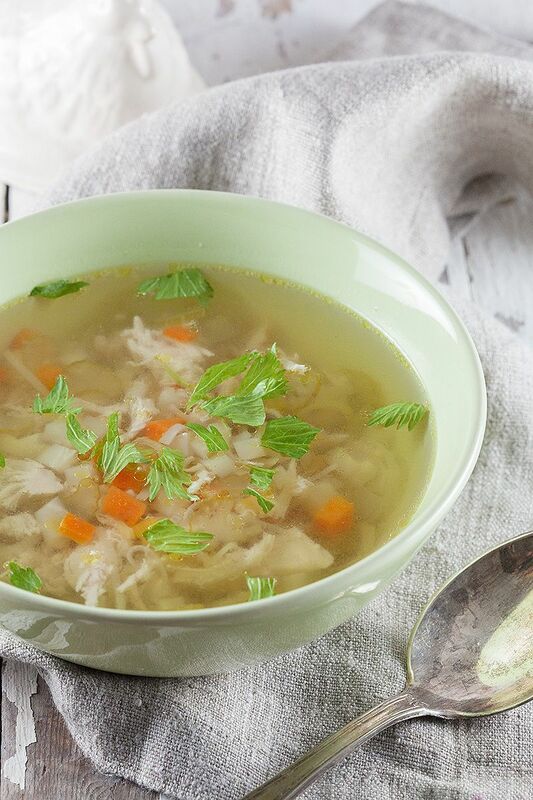 REMOVE the chicken fillets from the chicken stock and add the chopped veggies. COOK the veggies for about 10 minutes. Meanwhile tear the chicken fillets into small pieces using a fork. 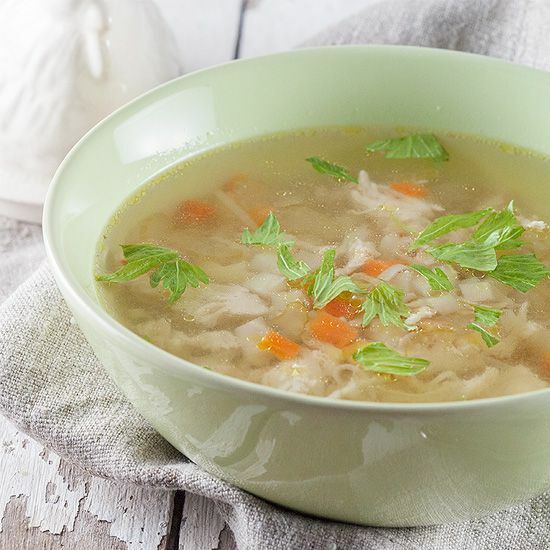 ADD the pieces of chicken back into the pan and bring the soup to taste using pepper and salt. That’s it, enjoy!